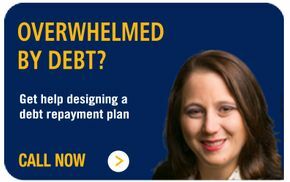 Our professionals at Crowe MacKay & Company Ltd. understand that dealing with debt can be an extremely stressful experience. With over 60 years of experience, we are committed to providing honest and objective advice during difficult times. We tell our clients what they need to know as opposed to what we believe they want to hear. Whether you are an individual or a business owner, if you are having difficulties dealing with your debt, we are here to help. There are many options available to you, so contact one of the professionals at Crowe MacKay & Company today.